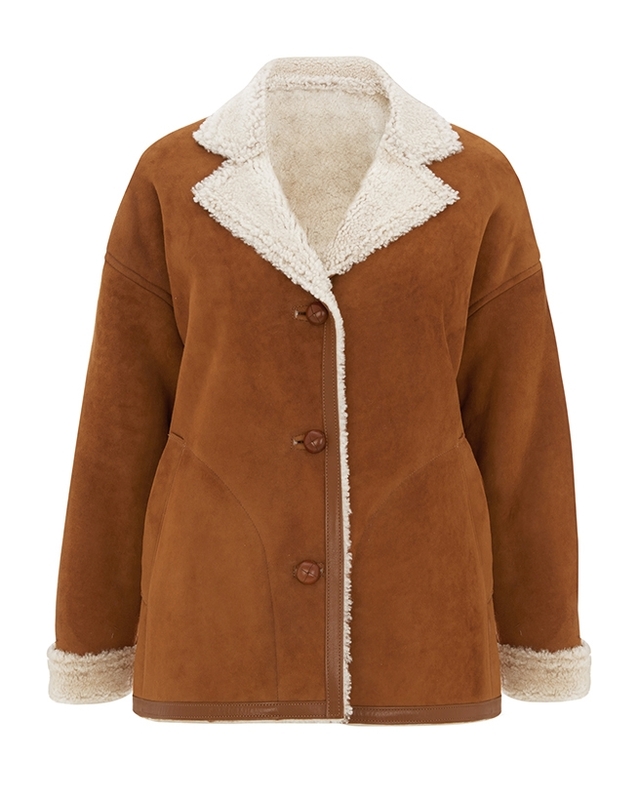 A modern take on a traditional shearling jacket, this relaxed style will be your go everywhere cover-up this season. 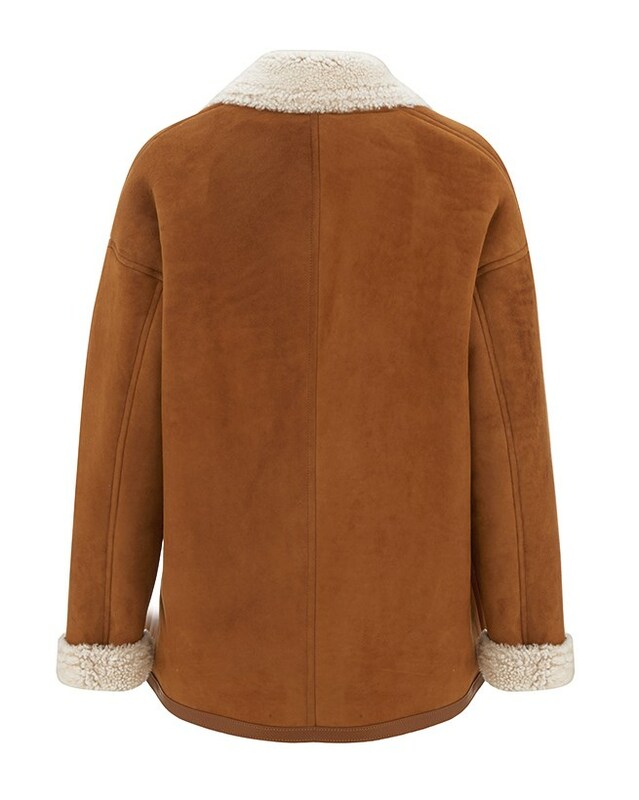 It is made in Great Britain, from classic whisky shearling with a contrast cream fleece and traditional features, including leather football buttons and slanted side pockets. Boxy fit. Please be aware that as shearling is a natural product, variances within the colour and texture of our outerwear is to be expected. I bought this jacket for my wife this Christmas and it is fabulous. A perfect fit and very high quality. The little bits of detailing such as leather around the cuffs make it stand out. I must also make a comment about the customer service as Celtic & Co were exceptional. There was a risk that the jacket may not arrive before Christmas but Celtic kept me informed of progress on almost a daily basis and the exchanges (by email) with Customer Services were both efficient and enjoyable at the same time. I would wholeheartedly recommend both the product and the buying experience. The jacket arrived in time for Christmas too! Thank you Celtic & Co. 5 stars from me. Beautiful jacket. Very warm! Have a lot of room so I could have a thick jumper underneath and still feel comfortable with the buttons on, but for me the sleeves could be a bit longer. I would recommend. It's a well made jacket that's for sure, buttons inline with holes, lightweight, a nice fit. However it's not quite what I was looking for, perhaps more boxy than I'd like when done-up.